Observation - Can anyone identify this? - UK and Ireland. Description: Hello I found this skeleton in my front garden. At first I thought it was a mouse, then a bird but now I'm leaning towards a bat. Care to help? 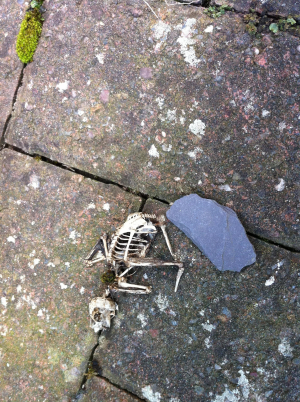 I found this skeleton in my front garden. At first I thought it was a mouse, then a bird but now I'm leaning towards a bat. Care to help?